Sarah has a very kind personality. She is always calm and she smiles at me no matter how stressful the situation is during this “big day” of hers. 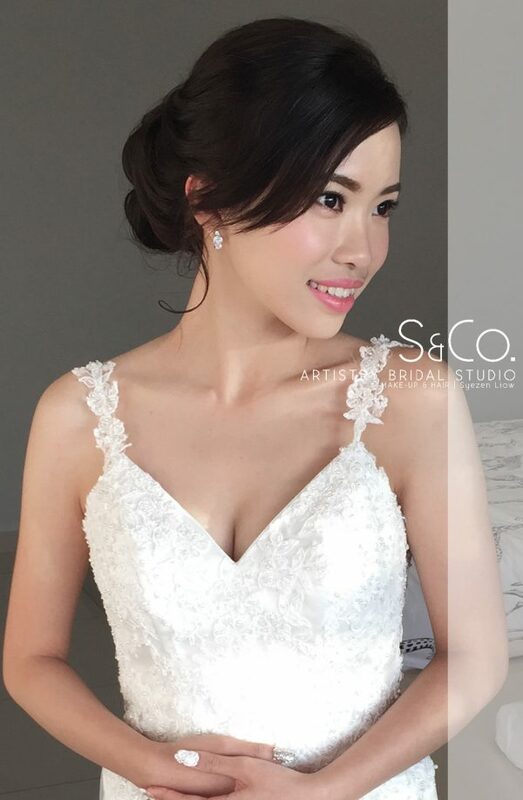 Due to her personality and uniqueness, we gave her a gentle and sensual make up, which really suits her! 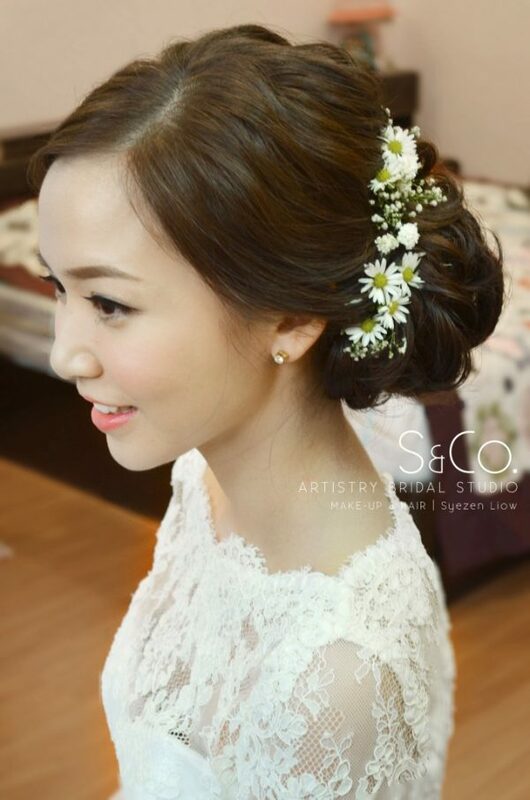 And with a loosely set bun with romantic Baby Breath, what a perfect match to highlight her beauty! 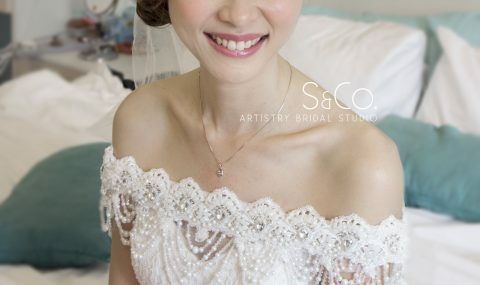 Thank you my dear for choosing us as your makeup artist and thank you for all the inspiration you have given us. 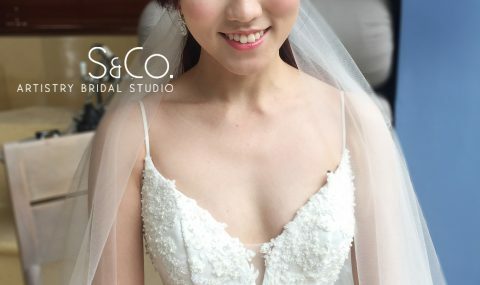 We wish you all the best in your new beginning together with your loved one.